Summer is the time for outdoor gatherings and fun, and few things say 'party' quite like a bounce house. However, the popular plaything is not without potential dangers. 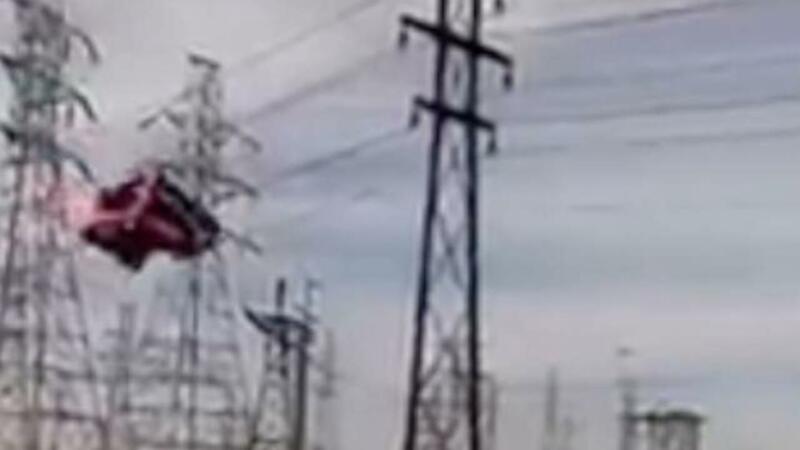 ABC News is reporting that on Saturday, one in a Niagara, New York yard was lifted off the ground by the wind. After being airborne for a bit, the inflatable became tangled in some power lines. Video of the incident shows the moment of impact was rather dramatic, complete with sparks and a loud bang. Thankfully, the bounce house was unoccupied at the time. The owner of an area rental business told WIVB the trouble likely stemmed from poor anchoring. He also noted, "...most of the time when they're properly secured there's no problem."